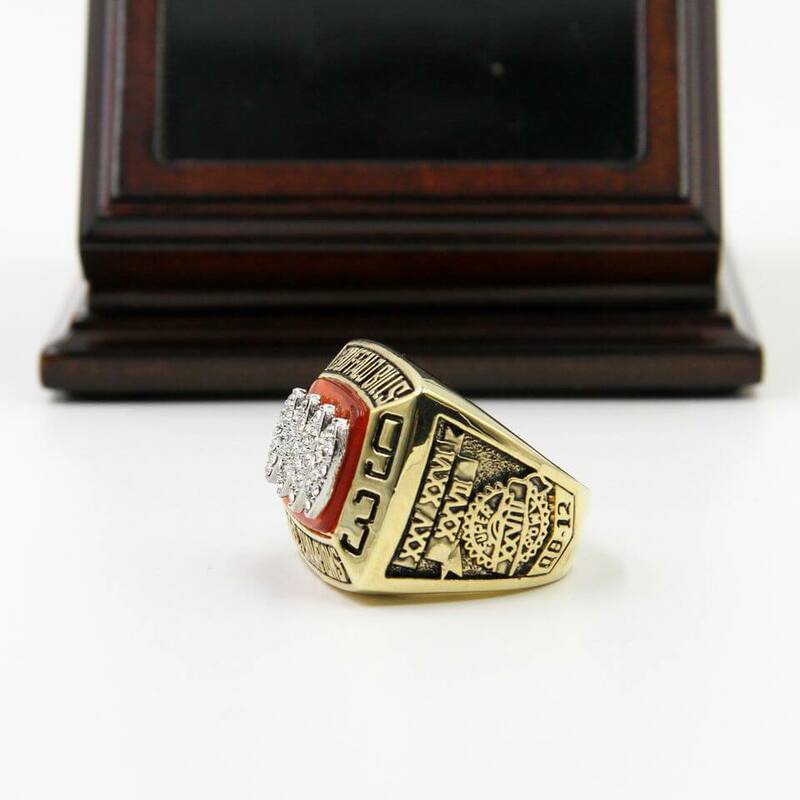 AFC 1993 Championship ring is the best souvenir for the most of Buffalo Bills fans to memorize the game on 15th January, 1994, that Buffalo Bills against Los Angeles Raiders at Rich Stadium, Orchard Park, New York. 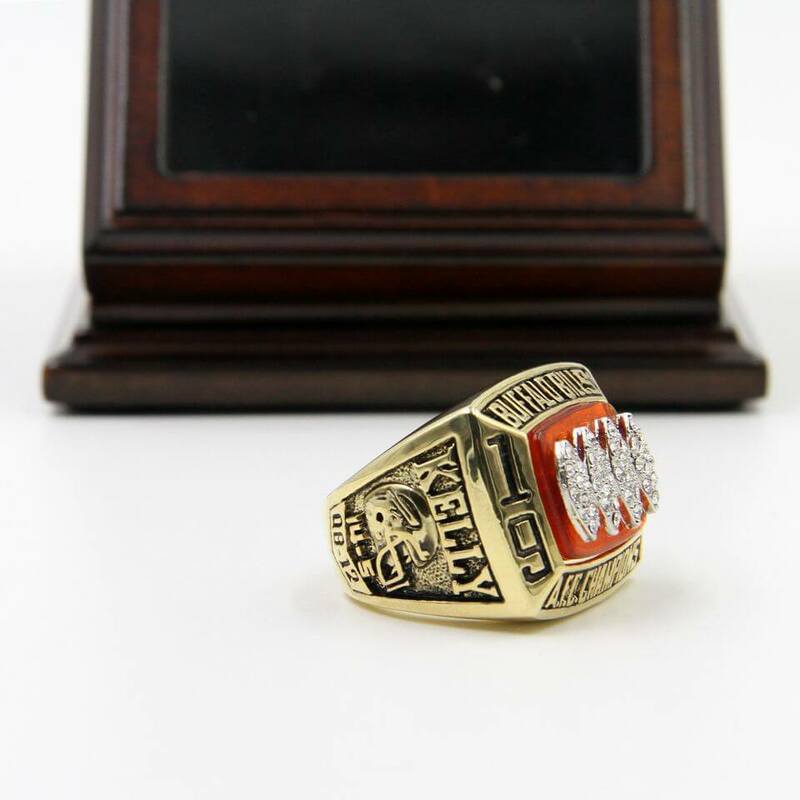 The quarterback Jim Kelly first threw a 25 yard touchdown gave Buffalo a 19:17. 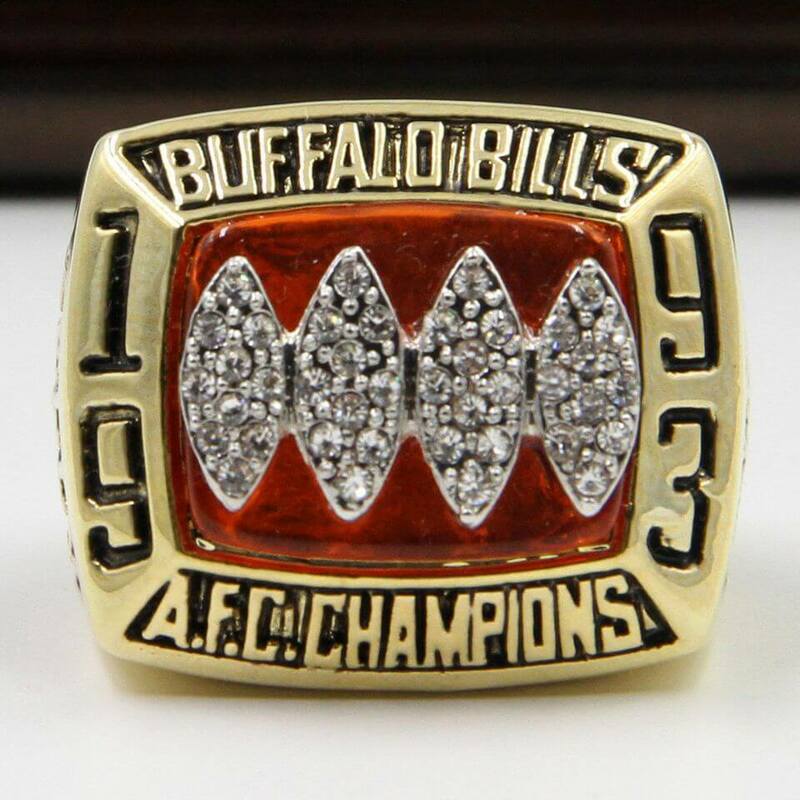 What a great moment for Kelly, and finally, Buffalo Bills defeated Raiders by 29:23 and won the AFC championships. 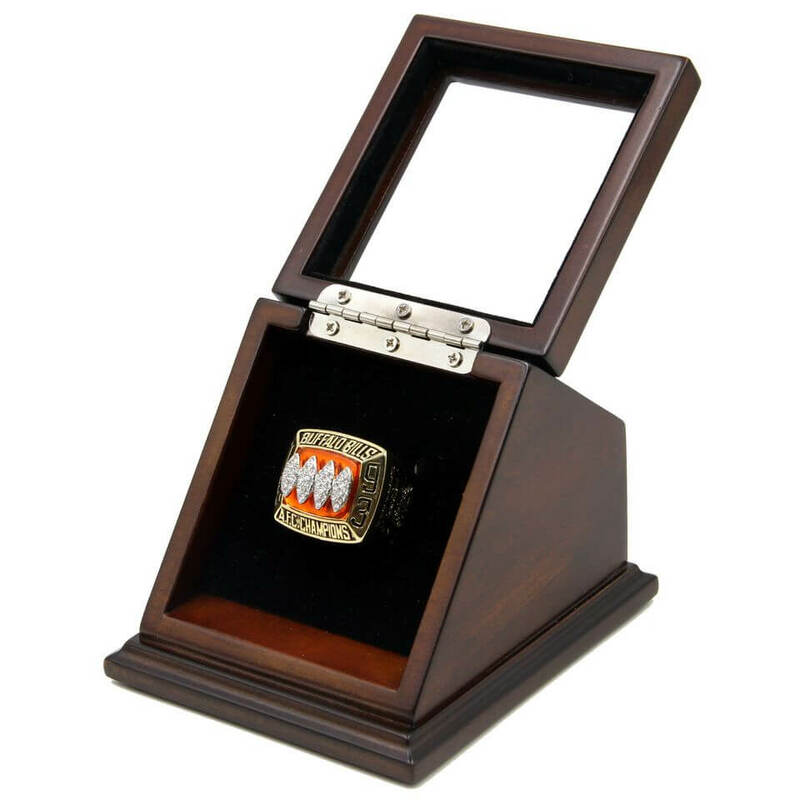 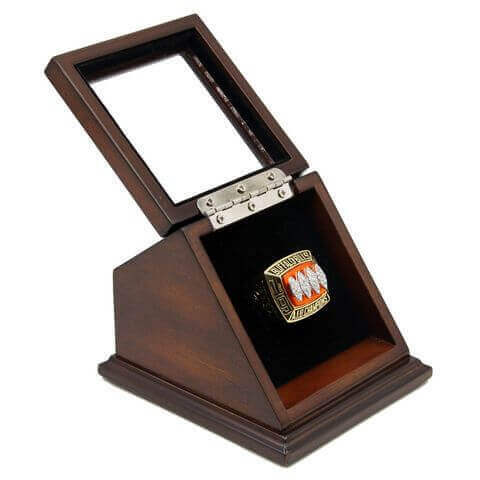 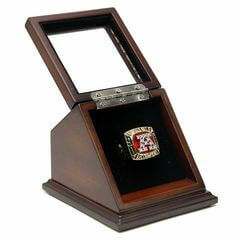 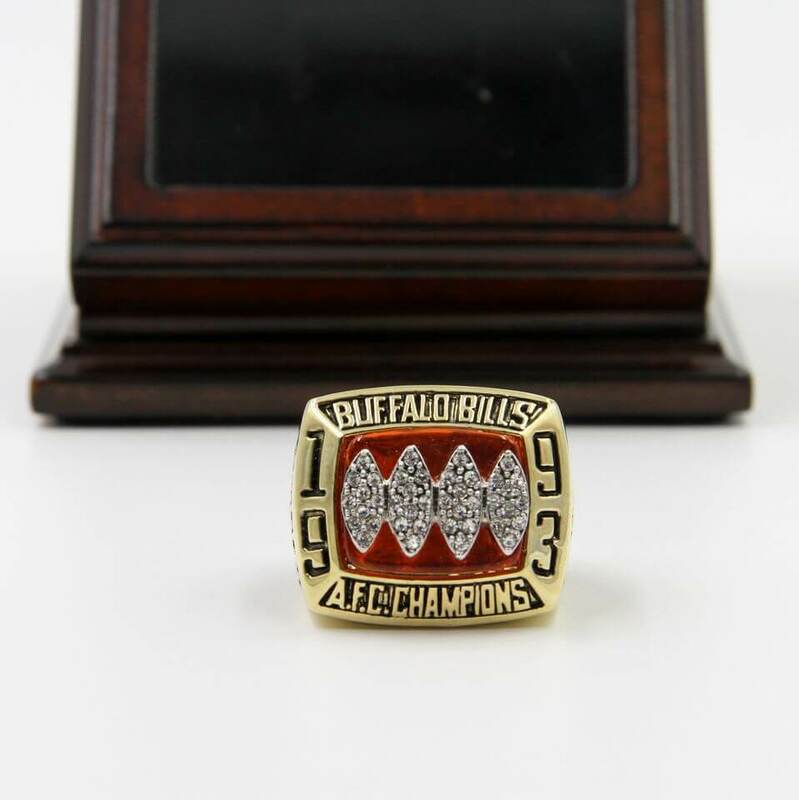 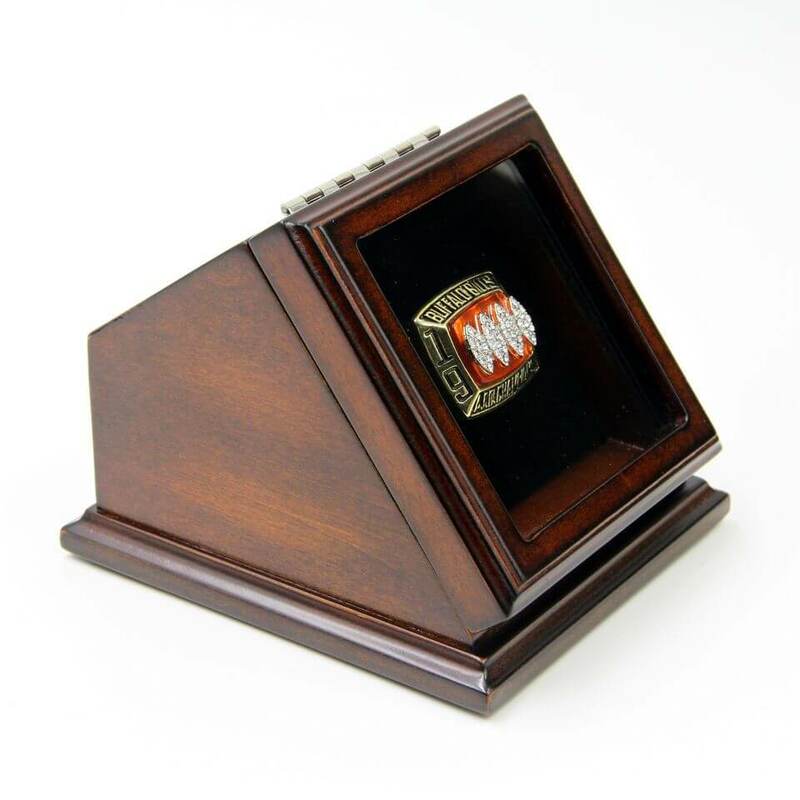 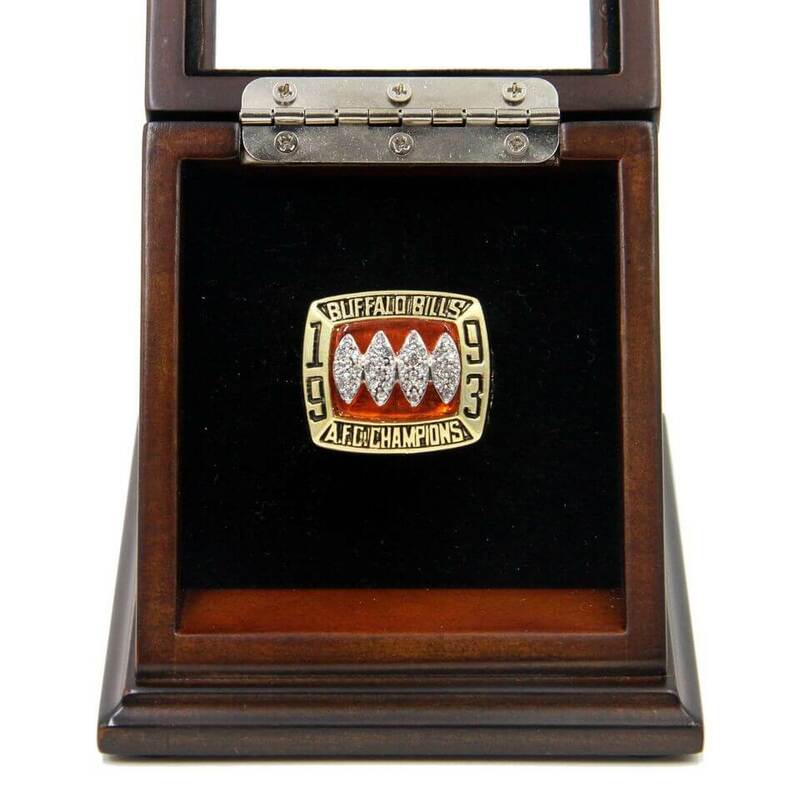 AFC 1993 Buffalo Bills Championship Replica Fan Ring with Wooden Display Case would be a unique and a great gift to your friends and families, and it is a truly one of a kind item that would stand out in any Buffalo Bills and Jim Kelly fans collection. 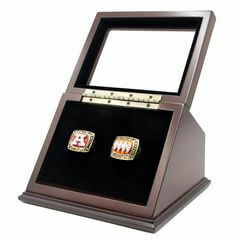 Buffalo Bills are a professional football team of U.S.A that led by head coach Buster Ramsey in Buff..